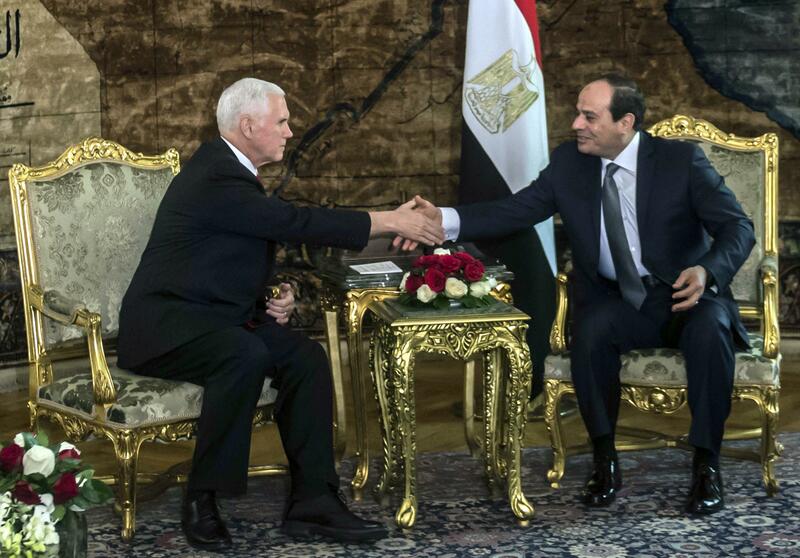 CAIRO – Vice President Mike Pence and Egyptian leader Abdel-Fattah el-Sissi pledged a united front against Mideast terrorism on Saturday as Pence, the highest-level American official to visit the U.S. ally in nearly a decade, began a trip through the region amid a government shutdown in Washington. Published: Jan. 20, 2018, 9:48 a.m. Updated: Jan. 20, 2018, 2:25 p.m.